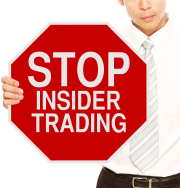 With coverage breaking across major media, including the New York Times, CNBC, Wall Street Journal and Bloomberg, eyes turn once again to Wilson Sonsini on the topic of insider trading. Readers may remember that in 2011 a Wilson Sonsini lawyer was charged with and later plead guilty to insider trading. In that case, the individual was accused of gathering information by numerous methods, including searching the firm's document management system. "A computer systems engineer at the Silicon Valley law firm Wilson Sonsini Goodrich & Rosati was charged with trading on inside information about potential mergers and acquisitions he learned on the job." "Dimitry Braverman, 41, is the second employee in three years at the Palo Alto, California-based firm to be charged with insider trading." "Braverman used computerized records at the law firm to identify companies involved in possible acquisitions, including Gymboree Corp., Drugstore.com Inc., Epicor Software Corp. and Seagate Technology Plc, according to charges made public today in Manhattan federal court. He was arrested this morning at his home in San Mateo, California. Braverman temporarily suspended his illicit activity when a Wilson Sonsini lawyer was arrested for an unrelated insider-trading scheme in 2011, according to prosecutors." "Braverman made almost $300,000 from the illegal trading, the U.S. said. He had access to billing records and attorney time sheets created when the firm opened new accounts or checked for conflicts of interest, according to the government." "According to court documents, Wilson Sonsini's general counsel emailed employees after Kluger's arrest to remind them of the firm's policies on insider trading."